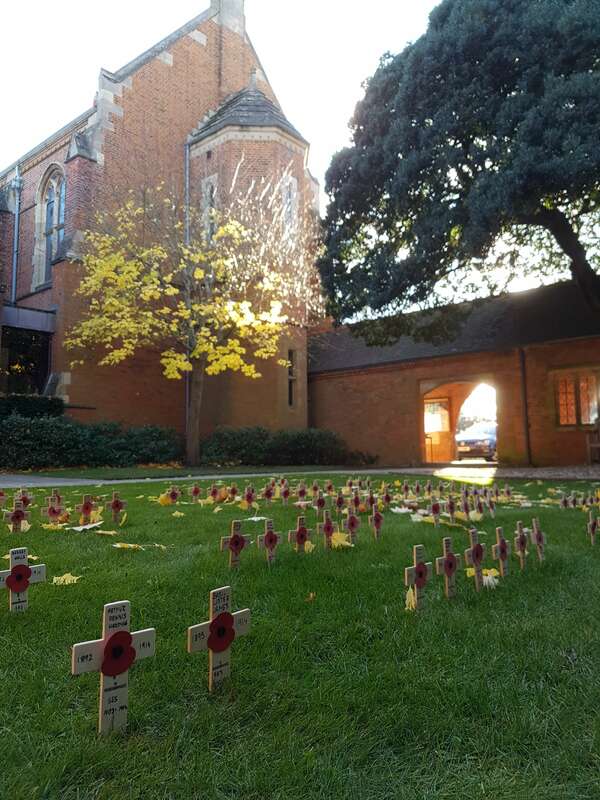 On Sunday 12th November, the School held a Service of Remembrance in the Memorial Quad, in honour of those from the school community who gave their lives during the two World Wars. The Brass Band, including three cornets playing the Last Post and Reveille (Tom Powell, Tim Hohage, Nick Elliot), accompanied the singing of hymns during the service, as well as providing processional music at the beginning and end. This included Edward Elgar’s Nimrod from his Enigma Variations, Robert Saint’s Gresford hymn, dedicated to the miners who fought in the wars, and John Williams’ Hymn for the Fallen, made famous by Saving Private Ryan. During the two minutes’ reflection, Richard Powell played Flowers of the Forest in memory of Scottish soldiers who died in conflict. After the service at school, the Brass Band travelled to Wolvercote to play for the service held outside St Peter’s Church. This service involved a parade from the School’s CCF and was accompanied by the Brass Band playing the Soldiers of the Queen March. Following this, the Brass Band headed by bus to their third service, in Wytham village. Despite being the third service of the morning, and in spite of the chill, the band played excellently and led the service with conviction. A classic pub lunch in The Plough was more than deserved after a long but enjoyable morning.